There are hundreds of online casinos out there, all fighting for your attention and hoping you’ll register with them and not one of their competitors. For somebody new to the world of online gambling it can be a confusing prospect. Do you pick the casino that ranks highest on your search engine? Do you look for a name you recognize? How about the one offering that enormous sign-up bonus? The Casino Gorilla is here to help you to sort through the competition and discover the casinos offering genuinely great welcome bonuses, secure gaming and the best choice of games. 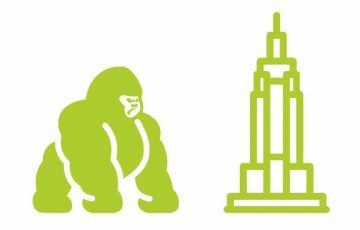 Your gorilla guide will put you on the right track to finding the best online casino for your needs. 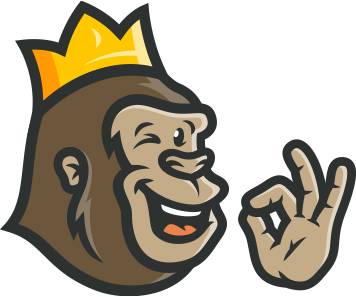 The Casino Gorilla has visited more online casinos in 2018 than just about anyone else, so trust us when we tell you that he knows what he is talking about. One casino stood head and shoulders above the rest and that was the Malta-based Casumo Casino. Since its launch in 2012, this casino has picked up no fewer than 7 prestigious EGR awards, including the 2018 Nordic Award for Best Mobile Operator. Travel to the wacky world of Casumo and you will not want to leave. With a tempting 100% deposit matched welcome bonus up to £300, and 20 free spins thrown in, you’ll have plenty of opportunity to test your luck at the huge variety of games on offer. Casumo is a solid casino that is licensed in its home country of Malta, as well as in the UK by the Gambling Commission. Read our review to get the very latest bonus and jackpot information or visit the site now. Ikibu casino has a great variety of classic and modern casino games with great graphics and a ‘play for fun’ area where you don’t bet with real money. They offer a first deposit bonus of 100% up to £100 and 50 free spins on signup. Ikibu is licensed by the Malta Gaming Authority, Swedish Gambling Authority, and UK Gambling Commission. As well as the normal games you’d expect to find at all the best online casinos, Ikibu has plenty of great options for live games. Try your luck in, Blackjack, Baccarat Squeeze, Immersive Roulette, Baccarat, Dragonara, Caribbean Stud Poker, Casino Hold’em, London Roulette, Speed Roulette, Auto Roulette and many more. With live games, ‘Play for fun’ is not available as it is based on real games with dealers in a physical location. Learn more about live games. Read our review of Ikibu Casino, or visit the website to play now. Dunder Casino makes it into the Casino Gorilla’s best casinos list thanks to the stylish games from great designers. Their motto is that “playing should be fun, easy, and hassle free”, which is definitely something the Gorilla can get behind. But be sure to read the terms and conditions, which can be found in our review or on the Dunder Casino site. Cashmio is another one of our go-to casinos that always delivers. With an excellent selection of games, including plenty of live dealer games where, as the name suggests, you play against a real dealer, with an HD video stream. There’s a straightforward bonus of 100% deposit matching between €20 and €100. However, they do have wagering requirements of 50 times your bonus, meaning it’s not possible to just get the bonus and cash out. You also get 50 free spins on the the Spinions slots game. Cashmio is regulated by both the Malta Gaming Authority and the UK Gambling Commission. Read our review or get started right away! Last but certainly not least on our list is Yeti Casino. Launched in 2018, Yeti Casino has done very well for one so young. They offer 100 free spins on sign up along with 100% deposit matched welcome bonus up to £111, with a wagering requirement of 40x. The Yeti Casino website has great design and is very enjoyable to use, with one of the best live casinos we’ve seen and over 450 mobile games. While everybody has their own opinion as to what makes the perfect online casinos, there are some factors which should be non-negotiable. The most important of these is simple: security and fairness. Play at a site where the odds are rigged against you, where they are reluctant to pay out or where your funds are not secure, and you will definitely not have a good experience.  Follow in the giant footprints of the Casino Gorilla and you will find the best online casinos on the market today. Of course, not everyone is looking for the same thing from an online casino. Before you rush to sign up with that famous brand or the casino with the flashy graphics, think about what is most important for you. Is it the mobile site with the most games? How about the best bonus offer which you have a real chance of being able to withdraw? Maybe it’s a certain game developer or type of game that you prefer? It could be that you only play at live dealer casinos and need the best of that genre. Whatever you’re after, the Casino Gorilla will be your guide to the best of the best with up to date news and reviews. Some online casinos have failed to move with the times and are past their sell-by dates. Offering gloomy and static design and old-fashioned graphics. The Casino Gorilla wants to introduce you to the freshest modern casinos which are perfectly adapted for mobile gaming. After all, phones are where it’s at these days and if an online casino doesn’t take that into account it will deservedly get left behind. We are happy to bring you the news about the latest and greatest online casinos, and tell you which dinosaurs are to be avoided. There is nothing more frustrating than trying to get in contact with an online casino only to find that you can’t get through. Or worse, when you do speak to a customer support agent but are fobbed off with cut and paste responses that don’t help you at all. Customer support is the contact point between the online casino and its customers. If that support is poor then it’s a sign that the casino just doesn’t respect its players. Find a good support team and the chances are high that it is a sign of a quality online casino. As we mentioned at the top, without security and fair play then an online casino offers no value to its players. The Casino Gorilla will never recommend a casino he wouldn’t invest his own money with, and he is not exactly known for flashing the cash around! The big guy looks for secure encrypted software, independently tested games and a strong regulator. Only when that combination is in place do we think about putting an online casino on our recommended list. 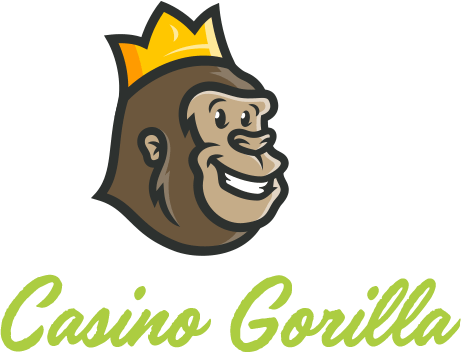 What does the Casino Gorilla look for when it comes to payment options on online casinos? Well, there are a couple of different factors to consider but the most important of these is security. That means a site which uses the best encrypted software, and which holds a license from a recognized international regulator. After that, you want an online casino which offers plenty of different payment methods so as to suit players from all over the world. Also important is a casino that is dedicated to providing fast and easy transactions, with an emphasis on speedy and hassle-free withdrawals so you can get your money as and when you need it. Enter the words ‘casino welcome bonus’ into a search engine and you will be confronted with dozens of pages filled with casinos trying to tempt players by what they have to offer new players. However, there is often more to these bonuses than meets the eye. The Casino Gorilla has put on his reading glasses to check out the small print in these bonus offers, the part that most players ignore. That means he can tell you which of those bonus offers really are too good to be true, and which are the fantastic offers that casual players will miss out on. Don’t waste your time on bonuses that sound amazing but which turn out to be all smoke and mirrors, trust the 800-pound gorilla to point you in the direction of the solid gold promotions that other people don’t even know about. Getting started with Casumo is extremely easy, all you need to do is follow these seven quick steps and you’ll be playing in just minutes. Don’t allow yourself to fall into the trap of signing up with a random casino and regretting it later. The Casino Gorilla is swinging to the rescue, pointing you in the direction of the best online casinos around. Casumo Casino is our choice for the best online casino of 2018, and when you pay a visit to their site you will soon realize why. There are plenty of other fantastic online casinos out there too, and on these pages we only recommend the best of the best. Don’t forget to check our reviews section to find up to date information on all the best casinos.